In a speech at the Annual Airports and the Rental Car Industry Workshop on Nov. 5, Heidi King, deputy administrator of the National Highway Traffic Safety Administration, said her agency remains extremely interested in “automated driving systems” due to their potential to “save lives and prevent injuries” – even though “there are no vehicles sold with fully self-driving technologies” and so must “still require the driver to be engaged and responsible for vehicle operations” at all times. 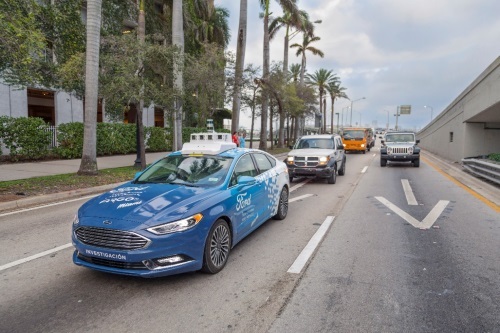 “Vehicle automation has captured the imagination of the public because of its seemingly miraculous potential to improve safety, to enhance mobility, and to add more useful hours to our day,” King said in her written remarks. Yet she noted as the average age of a vehicle on the roads today is 11.6 years old, many may soon be getting into cars “with features they may never have experienced before” and thus “consumer education” will be critical to help reduce the risk that results from a driver operating a vehicle with unfamiliar features.